As any salty dog can attest to, driving a boat is kind of like riding a bike -- once you know how, you'll never forget. But while boating can be a world of fun, it can also present a whole new world of dangers to those who partake in it. The Lakewood Police Department in Wisconsin took to their Facebook page this week to remind everyone that there's at least one kind of danger associated with boating that is completely avoidable. 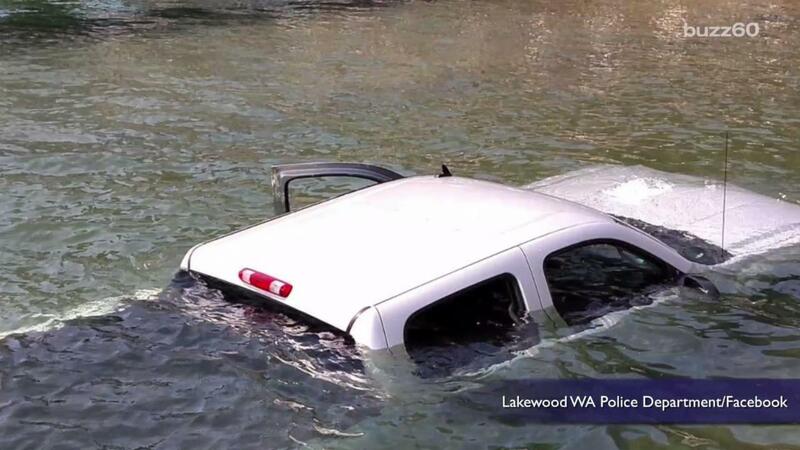 "We've had a couple instances lately where vehicles launching boats have been submerged in the water when the operator failed to place the vehicle in park before getting out," the department wrote. "With the nice weather and boating season underway...we'd like to remind everyone to set your parking brake and ensure your vehicle is in park before you get out." Seems like an obvious enough lesson -- but for at least one poor schmuck, it was just too little too late. The photo, which was posted on July 16, appears to be spreading quickly, as it has already been shared nearly 300 times and received several comments by people with very mixed emotions on the incident. "Oh..man........that's a bad day," one man wrote. "Who doesn't put the vehicle in park when getting out?" said another. "Who are these people? Seriously..."
"Have fun," they ended their post with, "and be safe!"